Description: Werola Lia Griffith Crepe Paper Heavy 10 pc Botanical Garden- High quality, heavy floristic crepe paper inspired by nature. This extra fine crepe paper is lightweight with 130% stretch, making it very malleable and easy to use. Perfect for making crepe paper flowers, wedding and special event decor, elegant gift wrapping, kids projects, and paper crafts of all kinds. Colors are silver, onyx, evergreen, emerald, clover, basil, fern, pear, juniper, and teal. 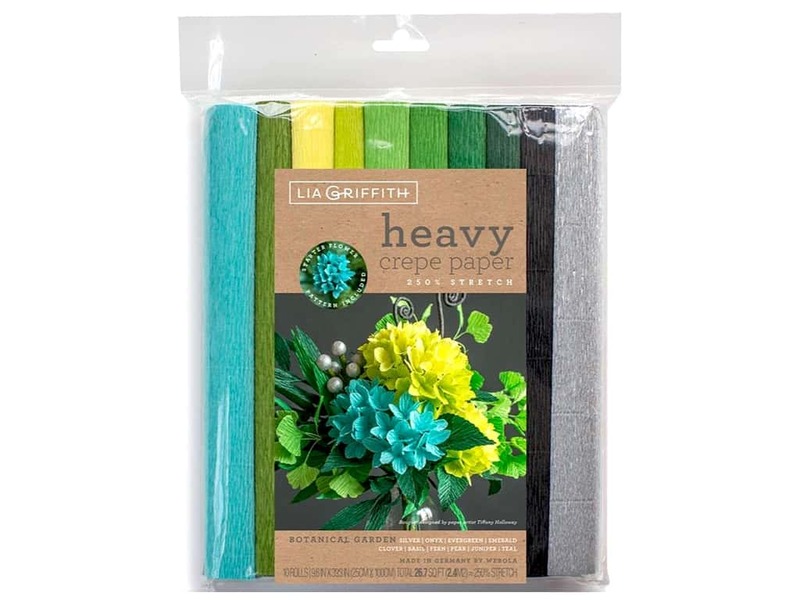 Werola LGriffith Crepe Paper Heavy 10pc Botan Gdn -- CreateForLess 5.00 out of 5 based on 1 ratings. 1 user reviews.